To spot oral cancer is quite the challenge. Although it’s pretty rare, oral cancer does happen to a lot of people. Read how to spot it and ways to cope with it. Every day, you hear stories about people having all kinds of conditions and suffering for a long period of time. That’s because genuinely, we’re not that informed about all kinds of diseases that can affect us, and we don’t see the signs. Cancer, being one of the most deadly diseases, is the hardest to spot sometimes. Unfortunately, there are too many different types of cancer and it’s dumb to be suspicious of every cough or ache, relating it to cancer. However, sometimes suspicion is the reason some people save themselves from cancer. As rare as it is, oral cancer is the hardest to spot. That’s because almost all of the symptoms are too general, and we relate them to other diseases which are not as dangerous. Nonetheless, oral cancer happens to a lot of people and you need to be informed about the signs, just in case. To spot oral cancer on time can save your life. First of all, there are three types of oral cancer: lip, tongue and mouth cancer. Weird, right? In most cases, whenever something happens inside your mouth, you instantly relate it to some dental problem. And being afraid of dentist, you forget all about it. This is when bad cancer stadiums kick in. are the common symptoms for all of the oral cancer types. 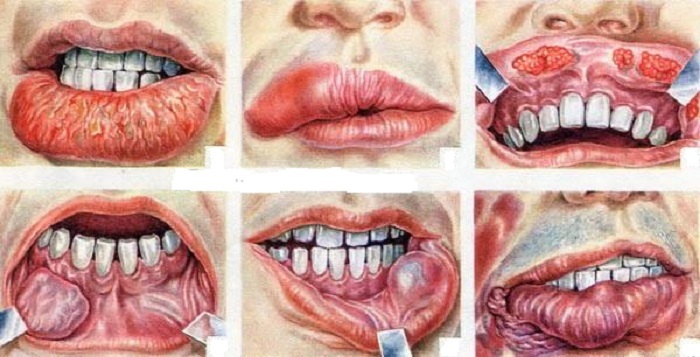 In addition to these, people who have lip cancer have a persistent lip pain. Those who have tongue cancer have a greater difficulty moving the tongue; in other words, difficulty chewing. Mouth cancer symptoms are very similar to and connected with throat cancer. Nevertheless, whenever some of these symptoms appear, you need to urge to check yourself. As any other cancer, oral cancer can be treated with surgery, chemo and radiation and additional drug therapy. Sadly, oral cancer patients after receiving the necessary therapy, face eating, sleeping and speaking problems. This is all due to the location of the cancer. Rehabilitation teams all over the world can greatly help you with this. So, if you are an oral cancer patient or you know someone who is, please consult with cancer rehabilitation centers.